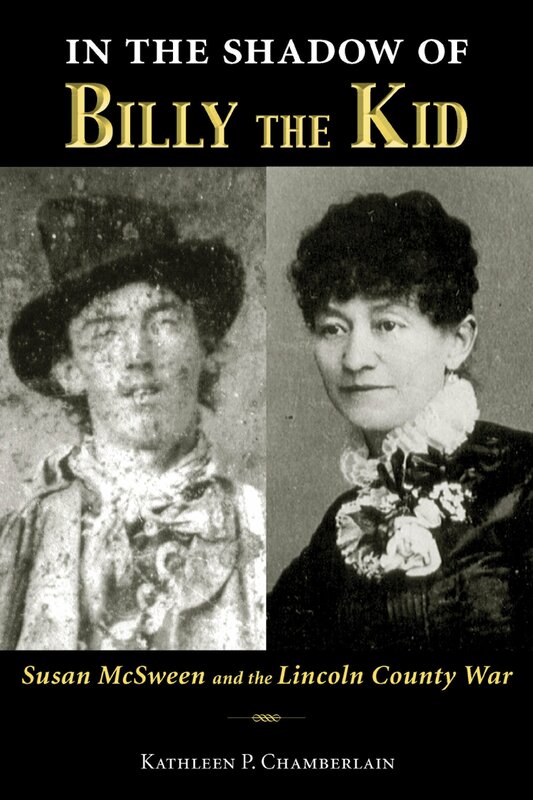 The events of July 19, 1878, marked the beginning of what became known as the Lincoln County War and catapulted Susan McSween and a young cowboy named Henry McCarty, alias Billy the Kid, into the history books. The so-called war, a fight for control of the mercantile economy of southeastern New Mexico, is one of the most documented conflicts in the history of the American West, but it is an event that up to now has been interpreted through the eyes of men. As a woman in a man’s story, Susan McSween has been all but ignored. This is the first book to place her in a larger context. Clearly, the Lincoln County War was not her finest hour, just her best known. For decades afterward, she ran a successful cattle ranch. She watched New Mexico modernize and become a state. And she lived to tell the tales of the anarchistic territorial period many times. Kathleen P. Chamberlain is professor of history at Eastern Michigan University. She is the author of Victorio: Apache Leader and Warrior (2007) and Under Sacred Ground: A History of Navajo Oil, 1922–1982 (UNM Press, 2000) and coauthor of Power and Promise: The Changing American West with Gary C. Anderson (2008).